Compact, long-blooming with vivid violet flowers that do not fade to brown like other varieties. 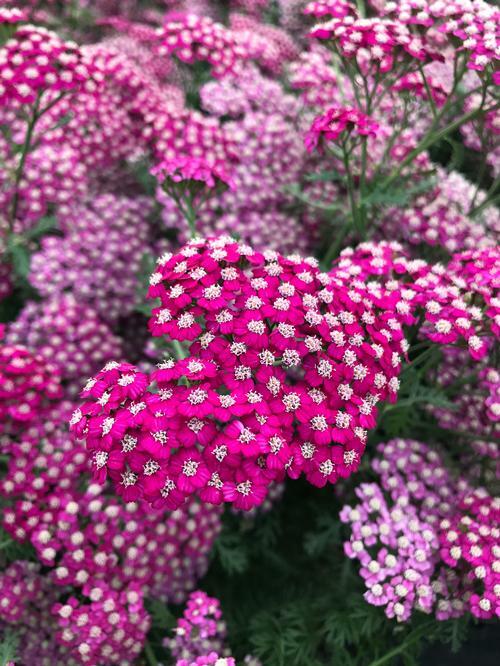 Holds its shape and reblooms very well for an Achillea. Delicate, fern-like foliage with flat terminal flower heads. Flowers are long-lasting and excellent for cutting. Plants are drought tolerant and thrive in poor, dry soils. Good for summer color in the mid-border area.